KELT-9b, one of the most unlikely planets ever discovered, has surprised astronomers yet again with the discovery that its atmosphere contains the metals iron and titanium, according to research published in the journal Nature. The planet is truly like no other. Located around 620 light-years away from Earth in the constellation Cygnus, it is known as a Hot Jupiter – which gives a hint to its nature. Nearly three times the size of Jupiter, its surface temperature tops 3780 degrees Celsius – the hottest exoplanet ever discovered. It is even hotter than the surface of some stars. In some ways it straddles the line between a star and a gas-giant exoplanet. And it’s that super-hot temperature, created by a very close orbit to its host star, that allows the metals to become gaseous and fill the atmosphere, say the findings from a team led by Jens Hoeijmakers of the University of Geneva in Switzerland. On the night of 31 July 2017, as KELT-9b passed across the face of its star, the HARPS-North spectrograph attached to the Telescopio Nazionale Galileo, located the Spanish Canary Island of La Palma, began watching. The telescope recorded changes in colour in the planet’s atmosphere, the result of chemicals with different light-filtering properties. By subtracting the plain starlight from the light that had passed through the atmosphere, the team were left with a spectrograph of its chemical make-up. They then homed in on titanium and iron, because the relative abundances of uncharged and charged atoms tend to change dramatically at the temperatures seen on KELT-9b. After a complex process of analysis and cross-correlation of results, they saw dramatic peaks in the ionised forms of both metals. It has been long suspected that iron and titanium exist on some exoplanets, but to date they have been difficult to detect. Somewhat like Earth, where the two elements are mostly found in solid form, the cooler conditions of most exoplanets means that the iron and titanium atoms are generally “trapped in other molecules,” as co-author Kevin Heng from the University of Bern in Switzerland recently told Space.com. However, the permanent heatwave on KELT-9b means the metals are floating in the atmosphere as individual charged atoms, unable to condense or form compounds. While this is the first time iron has been detected in an exoplanet’s atmosphere, titanium has previously been detected in the form of titanium dioxide on Kepler 13Ab, another Hot Jupiter. The discovery on KELT-9b however, is the first detection of elemental titanium in an atmosphere. KELT-9b’s atmosphere is also known to contain hydrogen, which was easily identifiable without requiring the type of complex analysis needed to identify iron and titanium. However, a study in July [Nature Astronomy] found that the hydrogen is literally boiling off the planet, leading to the hypothesis that its escape could also be dragging the metals higher into the atmosphere, making their detection easier. Further studies into KELT-9b’s atmosphere are continuing, with suggestions that announcements of other metals could be forthcoming. In addition, the complex analysis required in this study could be useful for identifying obscure components in the atmospheres of other planets. The Instituto de Astrofísica, the headquarters, which is in La Laguna (Tenerife). The Observatorio del Teide (OT), in Izaña (Tenerife). The Observatorio del Roque de los Muchachos (ORM), in Garafía (La Palma). These centres, with all the facilities they bring together, make up the European Northern Observatory(ENO). The IAC is constituted administratively as a Public Consortium, created by statute in 1982, with involvement from the Spanish Government, the Government of the Canary Islands, the University of La Laguna and Spain’s Science Research Council (CSIC). The International Scientific Committee (CCI) manages participation in the observatories by institutions from other countries. A Time Allocation Committee (CAT) allocates the observing time reserved for Spain at the telescopes in the IAC’s observatories. 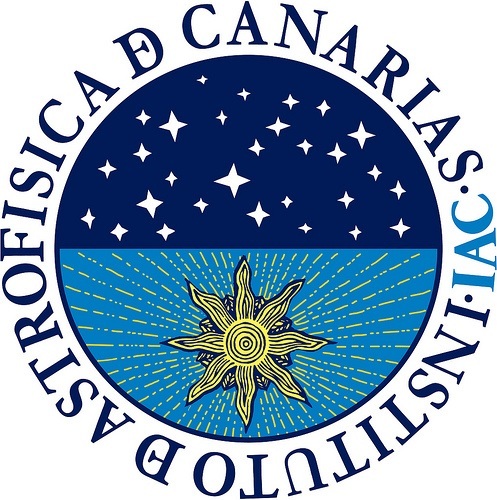 The exceptional quality of the sky over the Canaries for astronomical observations is protected by law. The IAC’s Sky Quality Protection Office (OTPC) regulates the application of the law and its Sky Quality Group continuously monitors the parameters that define observing quality at the IAC Observatories. The IAC’s research programme includes astrophysical research and technological development projects. The IAC is also involved in researcher training, university teaching and outreachactivities. The IAC has devoted much energy to developing technology for the design and construction of a large 10.4 metre diameter telescope, the ( Gran Telescopio CANARIAS, GTC), which is sited at the Observatorio del Roque de los Muchachos.